In a disappointing year for female-founded startups — at least those looking to raise venture capital — The Riveter not only closed its first institutional funding round, but it’s today announcing a $15 million Series A funding, bringing its total backing to $20.5 million. The Seattle-based co-working startup, led by co-founder and chief executive Amy Nelson (pictured), has raised the capital from lead investor Alpha Edison, with support from Madrona Venture Group, New America president and CEO Anne-Marie Slaughter, fashion designer Liz Lange and TOMS founder Blake Mycoskie . As of November, startups founded by all-female teams had closed 391 deals worth $2.3 billion, an increase from the $2 billion invested in 2017, though still just 2.2 percent of all VC invested this year. Nelson, an advocate for female entrepreneurs who’s spoken publicly about women’s struggles in the workplace, the difficulties of launching a business in a man’s world and raising venture dollars as a solo female founder, started The Riveter in 2016 after a decade-long career as a lawyer. 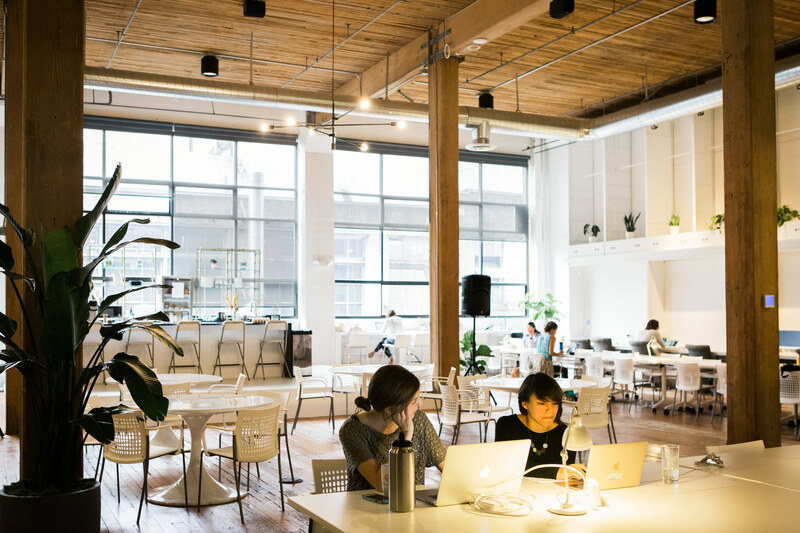 Today, the startup operates five locations in the U.S., with ambitious plans to open another 100 female-focused co-working spaces by 2022. “I want The Riveter to be the place people think of when they think of women and work,” Nelson told TechCrunch. The Riveter has 2,000 members throughout its locations in Seattle, Bellevue, Wash. and Los Angeles. Its expansion plans include new spots in Texas, Colorado and Portland. The spaces are built with women in mind but are not exclusive to one gender. Nelson tells us The Riveter’s membership is 25 percent male, setting it apart from spaces like The Wing, which is only available to female-identifying people. Other investors in the startup include Brilliant Ventures, The Helm and X Factor Ventures.